Welcome to the first ever Writers' Round Table on this blog! I'm super excited about this post, and it's a feature I'll definitely want to do again. It all started when I settled in to starting Jane of Austin and began scrounging about for new music before getting to work. That action sent me on a mental rabbit trail about writing and music and the interaction between the two. And if it's a big deal, I knew it would be for other writers, too. So to chat about it today I've got a crackerjack group of super talented storytellers who know their way around a playlist! So settle in with a cup of tea - you might just find your next favorite song! Hillary Manton Lodge: What do you listen to when you write? Rachel McMillan: Everything. I am someone who has wide musical tastes so, seriously, anything from Corelli (I love the Baroque period) to the Hamilton soundtrack (Broadway + Hip Hop= awesome) to Billy Joel. I wrote a sequence where the characters are at a production of Marriage of Figaro so I had a lot of Mozart going on for that in Bachelor Girl’s Guide to Murder. While I was editing, I listened a really exceptional cast recording of the Titanic musical by Maury Yeston a lot. It was playing in Toronto while I was finishing up for my editing deadline and I saw it three times. That is how amazing the orchestration is! Yeston studied the music of the Edwardian period immensely while crafting his stage show so it draws authentically on musical styles of the time: from Edward Elgar to Vaughan Williams to Ragtime. That definitely helped embellish my Edwardian world. Laurie Tomlinson: I alternate between instrumental nerd movie soundtracks and super mellow music that makes it easy to tune out the lyrics (i.e. City and Colour or Sleeping at Last). The low music of coffee shops also works really well, and Spotify has a channel going specifically for that kind of ambiance! Hillary: I’m all over the place. If it’s instrumental, then I tend to reach for soundtracks a lot. Right now I’m loving the soundtracks to Far From the Madding Crowd and A Little Chaos. But I listen to a lot of indie artists, too - Lucius, The Oh Hellos, The Lumineers, and Darlingside are favorites. Courtney Walsh: I only listen to instrumental movie soundtracks when I write. My favorite is probably The Piano soundtrack by Michael Nyman, but I’m also a huge fan of James Horner, Thomas Newman and Michael Giacchino. I also find myself really enjoying anything by The Piano Guys and anything with a Celtic feeling to it as well as the music from Harry Potter and the Bourne movies. Sometimes, though, I have to close my eyes and just listen to the music...but if there are words, I skip the song. I can’t concentrate when there are lyrics. Carla Laureano: Up until this point, I listened to instrumental or dance music while I wrote, depending on the mood of the story, and saved the vocals for editing, which is more of an analytical process for me than a creative one. Lately, though, I’ve been using brain.fm which uses embedded frequencies to help you focus - I was completely skeptical, but my productivity has doubled while using it, so I don’t think I’ll ever go back to regular music when first-drafting. That said, I usually pick a few albums that fit the mood of the entire book, and I’ll listen to them on the way back from school drop-off in order to get into the right frame of mind to write. Karen Barnett: It really varies for me. Sometimes I stick to straight instrumentals so it’s less distracting - either film scores or instrumental hymns. Other times it’s romantic songs or worship music. Hillary: Does it change according to your mood, your scene’s mood, or neither? Rachel: Not really. I always have music going but it is never intentional. I will say that I am a little OCD so if a scene I am particularly fond of --or a memory stirs of a good writing bout ---and I associate it with music then I am most likely to try the same playlist again in hopes of finding some good luck. Laurie: Rachel, I do that, too! I have a playlist for each book, the songs of which either match the mood of a scene or have fitting lyrics. While I can’t listen to it while writing, I do listen to it before writing to set up the scene in my mind. Hillary: I’m more likely to make up a playlist for a mood than a book, but sometimes I’ll go looking for types of music in particular. The best I can explain it is music cravings - my brain needs something in particular but doesn’t always tell me what. When I was working in the historical scenes in Together at the Table, my brain really liked the soundtrack to Outlander. But in general, I think my brain is super moody. When I was doing edits for Reservations for Two, I needed something energetic and really different. Sooo - bhangra music! I also reached for the adventure theme ("I am the Doctor", "Words Win Wars") from Doctor Who - if you need to feel cheered on by your music, it’s solid. Courtney: Not really. I don’t find myself wanting to write action just because the music from The Bourne Identity suggests it, though I’m kind of wondering if I should try that. 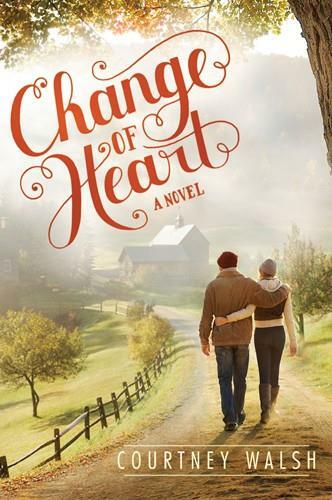 One thing I did do in my last book, Change of Heart, was to find a version of a song that played an important part in the hero/heroine’s story and listen to it while I was writing the scene where it would’ve been playing in the background. I do think that helped make that scene come to life for me. Carla: I don’t change according to the scenes or my mood, but rather according to the kind of emotion I want to evoke in the overall book or something that brings to mind the setting. The last book I finished writing, Under Scottish Stars, had a bit of a feminist theme to it, so I found myself listening to Sia a lot. When I was writing my fantasy series, I listened to Irish/Scottish trad and fantasy soundtracks like The Lord of the Rings. Probably the biggest departure was my playlist while writing Jilted. To get the Caribbean/South American vibe, I listened to punta, reggae, and paranda on Pandora, which are way outside my usual musical choices. Karen: I like what Hillary said - music cravings. I have one particular playlist on Amazon music that I’ve filled with songs that build up my confidence. I’m often riddled with anxiety when I’m writing a new book and these songs help me to remember that God is with me throughout the process. It includes songs like Lord I Need You, Voice of Truth, Oceans, Remind Me Who I Am, and others. I also have a series of stations on Pandora that fit the mood of particular scenes or books. Currently I’m writing a book set in the 1920s, so I’ve been listening to 20s jazz. I’ll switch to Pandora’s Film Scores station when I’m working on a suspenseful or action-driven scene. Hillary: For those of you who listen strictly to instrumental music, why do you think that is? Hillary: That’s valid. I think my muse gets laryngitis on the regular. Courtney: What is this muse of which you speak?? I can’t even listen to instrumental versions of songs I know because my mind sings the lyrics (loudly and with the gusto of a Tony-award winning actress.) I just cannot concentrate when there are words--drowns out my own words. Carla: I am a neuroscientist...no, wait, I’m not, but I’m pretty sure Laurie’s super-technical answer is right. I can listen to music with vocals, but only if I’m so familiar with the albums that I can tune them out. Karen: I can usually screen out lyrics after a while, so it’s not a problem for me. Hillary: Are there songs or soundtracks you find yourself reaching for over and over? Any specific ones that only fit specific scenes? Rachel: When I first heard Keane’s "Somewhere Only We Know" a billion years ago, it immediately brought to mind the Winter Garden Theatre: this amazingly intimate theatre atop a historic vaudeville space in Toronto. The Winter Garden is made to look like a forest: gorgeous leaves, trees, stars, embellished paintings and pastoral fire curtain and every time I hear that song I think of that theatre. It was a space I always intended to use in a book because I love it so much and it ended up being a perfect space for a few key moments in the Herringford and Watts series so I cannot separate those scenes from that song. (Also, it’s so cliché, I know. EVERY writer loves Keane). Laurie: A nice mellow writing or editing song I come back to is “Your Hand in Mine” by Explosions in the Sky. Hillary: Rachel - I was going to say “I have never heard of Keane” and then the song got going on YouTube and I totally recognized it. But the thing with a lot of those borderline cliché songs is that they’re reached for often for a reason. Laurie - I really like that! It was giving me major Friday Night Lights feels, and then I googled things and realized it’s because Explosions in the Sky did the score - that’s so cool! I kept returning to the soundtrack for A Series of Unfortunate Events for a lot of Together at the Table. And Thomas Newman, in general, but the Unfortunate Events music was such an atmospheric and mysterious but also positive - "Drive Away" is the perfect sum-up track for that, for the experience of working through but coming out the other side. Both Events and Together are about problem solving and resilience, so it’s probably why I responded to the music the way I did. For a lot of the tough scenes, "The Letter that Never Came" is really bittersweet and fit with those feelings of conflict and loss. A Little Chaos’s "When You Are Strong Enough" enough hits the same tone, as well. Courtney: I mentioned the soundtracks from The Piano (which is a movie I really did not like), Harry Potter and the Bourne movies but I also really love the music from Far and Away and oddly, The Incredibles. None of these necessarily suit my genre, but they make me happy. Carla: Borderline cliché songs are awesome. I think they resonate with so many people because they evoke recognizable and universal emotions. Yep, I will totally go for the contemporary emo pop when I’m writing emotional sections of the book. Give me OneRepublic or The Fray or anything with a properly emotive major-minor chord progression and I’m totally going to make you cry with that scene. Courtney, I can’t believe you didn’t like The Piano...but I agree with the soundtrack love. If you liked that, you would love the soundtrack from Far From the Madding Crowd. To me, it feels like The Piano crossed with the strings arrangements from the Twilight: Breaking Dawn score, which in my opinion were the best things about the movies. Hillary: Twilight movies - come for the nonsensical plot and bad makeup, stay for the score. And also sweet songs like “Honey and The Bee." Hillary: What music would you tell your readers to listen to while reading your books? Rachel: This is too hard because my tastes and my soundtrack are so eclectic. I will say that when I first got the idea, I holed up in a cafe I like for a weekend and white-boarded while listening to the Broadway cast of Newsies and of Ragtime. Ridiculous, I know. But Emma Goldman (a featured character in Ragtime) is now a featured character in A Lesson in Love and Murder so there’s that. Hillary: I love that you listen to Broadway while writing, and added Emma Goldman. When A Table by the Window released, I actually made a Spotify playlist for it. I love it - it’s a mix of very Portland-y indie picks mixed with French and Italian language songs mixed with some mid-century favorites. Looking at it again makes me want to make another list! Courtney: Hillary, I LOVE French language songs. Now, that would certainly evoke a different mood!! For me, I’d say it would be best to listen to Sara Bareilles, Colbie Caillat, Norah Jones and a mix of love songs from Billie Holliday and Etta James. In Change of Heart, the song "The Very Thought of You" was one of the songs I worked into the story. Karen: It’s been a little eerie, but each time one of my Golden Gate Chronicles books released, a worship song popped up with almost identical themes to the story. For the first book, Out of the Ruins, it was “Glorious Ruins” by Hillsong Worship. As I finished writing Beyond the Ashes, I started hearing “Broken Hallelujah.” Both of these songs have imagery that are perfect matches for those stories. 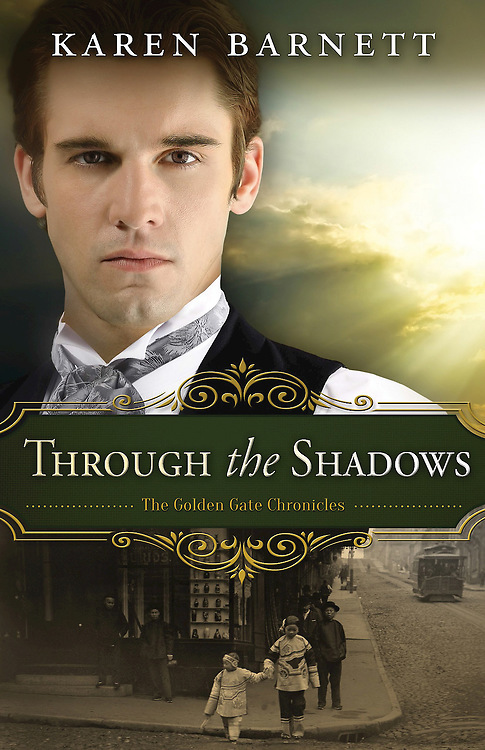 The last book of the series, Through the Shadows, releases in May. God has yet to surprise me with the perfect song, but the hymn “Amazing Grace” plays a key role in the plot. Maybe sometime in the next two months someone will do a beautiful new rendition of this old hymn. Wouldn’t that be fun? Hillary: What song/track do you keep coming back to? 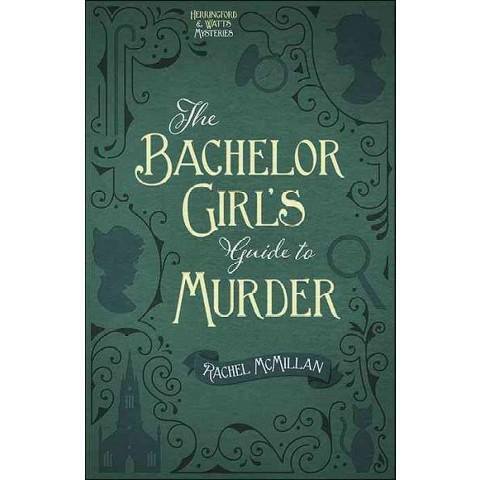 Rachel: I do have a kind of emblematic song for Bachelor Girl’s Guide to Murder. The book has a romantic subplot but I just couldn’t get these two characters together. I really needed a reason for them to be together without falling into a puddle of saccharine. My hero is riddled with doubts about the whole thing. 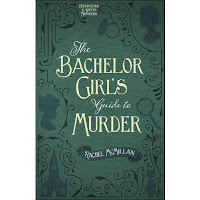 I had promised my agent I would have the draft of Bachelor Girl’s Guide to Murder at the beginning of May as publishers had already seen sample chapters! In mid- April, I was on a work trip to Thunder Bay: this very far Northern Ontario town. You take a tiny plane to get there. It’s not a happening spot in April and it was freezing and blizzardy and every evening after my meetings were done I would eat at the hotel restaurant trying to get some writing work in before the onslaught of meetings and presentations ebbed over again. One night, notebook in hand, James Morrison’s You Give Me Something started playing and I had it: something nuanced and a bit of a challenge that would carry through the subsequent books in the series.. I found myself listening to that song a lot as I finished the manuscript. For a two-fold reason: it reminded me of that scene and propelled my fictional romance, sure, but also it emblemized the fact that the process of writing this world was making me fall in love with my city in a brand new way. The romances in my series are nothing without Toronto as a lead, romantic character. Hillary: I love that story! I’m super obsessed with Lucius’s "How Loud Your Heart Gets". I’ve got, like, three different recordings, and if I found another I would pay money for it. Cold hard cash, no questions asked. My favorite is the Spotify Sessions version - it’s the closest to the version I heard live a couple summers ago. The song is joyful and yearning and romantic and hopeful - I just love it so much. Courtney: The music from How to Train Your Dragon and UP come to mind... I love both of those. Animated movies have the best soundtracks! Carla: I’ve ended up with an emblematic song for each of my MacDonald Family books. For Five Days in Skye, it was “Say (All I Need)” by OneRepublic. For London Tides it was Colbie Callait’s “Magic”, which really encapsulated my lead couple’s long history. (The iTunes Session version is particularly good.) Under Scottish Stars ended up being all about The Fray’s “Break Your Plans”. I’ve now made such good associations between the songs and the books that they’re inseparable in my mind - they get me every single time! Laurie: When I’m trying to write a sweet first kiss scene between my hero and heroine but am not really feeling it because, well, I’ve been chasing children all day, nothing makes me feel all the feels like Ben Rector’s song, “When I’m With You.” I have a super cheesy and random playlist that also includes a little Elton John, Sleeping at Last, All-American Rejects, and other random artists - but it works! Karen: This might make you laugh, but I’ve got two songs that get me past writer’s block. One is MercyMe’s “Word of God, Speak.” The very first line is “I'm finding myself at a loss for words, and the funny thing is, it's okay.” I think of it as an inside joke for writers, but it also reminds me that God is with me in the writing process. Another song that helps, but it a less spiritual way, is John Mayer’s “Say.” There’s something about hearing “Say what you need to say” about a hundred times to unclog the old writing pipes. Hillary: Thank you guys so much for sharing! This was so much fun, and it’s added lots of ideas to my next writing playlist. Laurie Tomlinson is an award-winning inspirational romance author and regular contributor to TheWritersAlleyBlog.com. She also runs a freelance copywriting, editing, and PR consulting business from her home in Tulsa, Oklahoma. 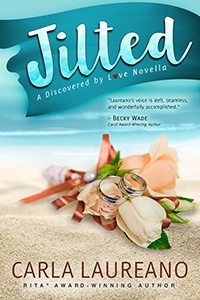 A member of the American Christian Fiction Writers, her books have received the Genesis Award twice and runner-up in the 2015 Lone Star Contest's Inspirational category. Carla Laureano is the RITA Award-winning author of contemporary inspirational romance and Celtic fantasy (as C.E. Laureano). A graduate of Pepperdine University, she worked as a sales and marketing executive for nearly a decade before leaving corporate life behind to write fiction full-time. She currently lives in Denver with her husband and two sons. Karen Barnett, author of Beyond the Ashes, Out of the Ruins, and Mistaken, lives in Oregon with her husband, two kids, and three mischievous dachshunds. When she's not writing, Karen enjoys binge-watching episodes of her favorite shows on Netflix and dragging her teenagers through dusty history museums. Oregon Christian Writers (OCW) honored her with the Writer of Promise Award in 2013 and a Cascade Award for her debut novel, Mistaken, in 2014.